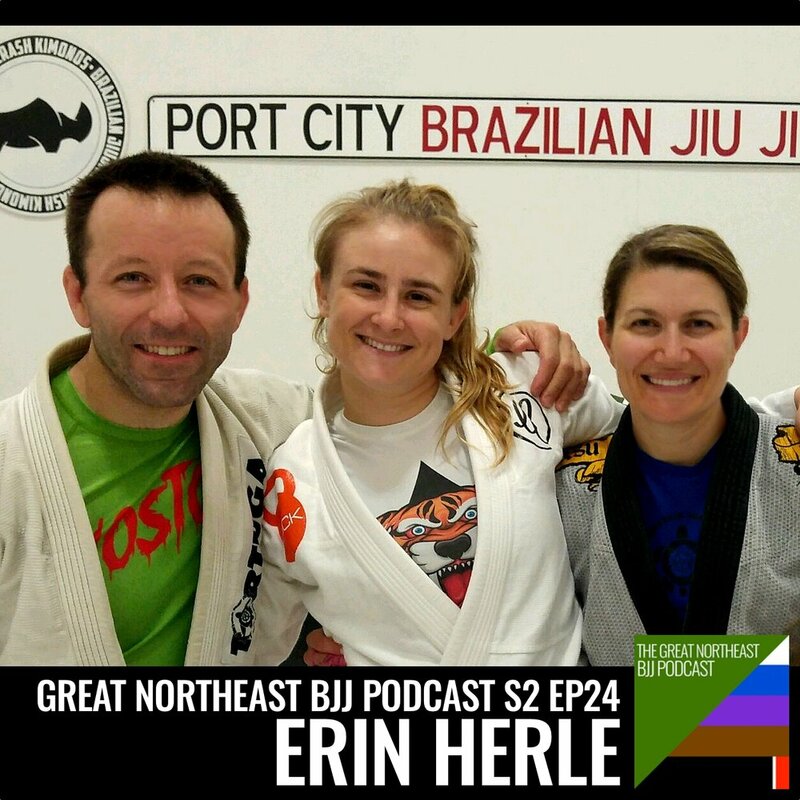 Coming at you from the Northeast US, the Great Northeast BJJ Podcast brings you conversation and interviews about everything Brazilian jiu-jitsu - fighters, lifestyle, training and competitions. 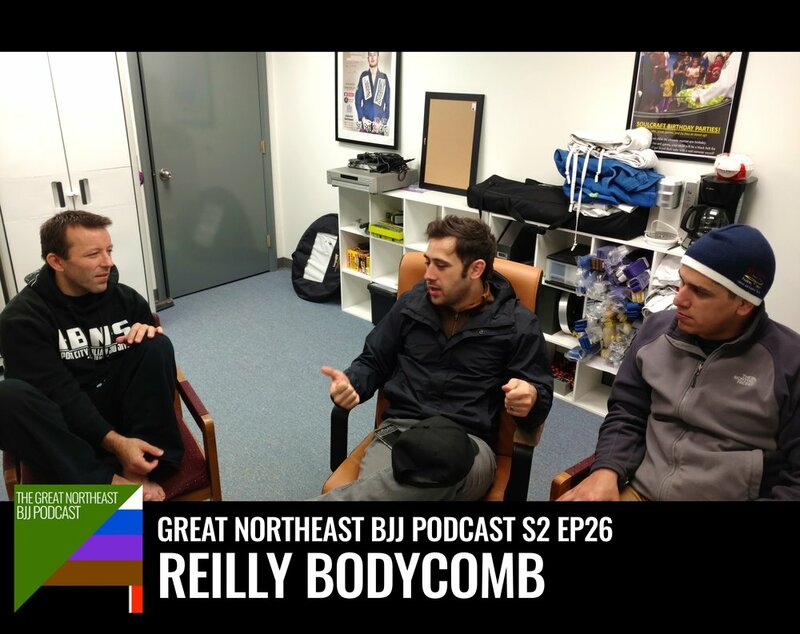 Reilly Bodycomb is a BJJ Black Belt, Pan American Sport Sambo Champion and coach at Bay Jiu jitsu. Jorge talks to him in the middle of a 3 day Rdojo Training Camp at Soulcraft in Hamden Ct. Nelson Puentes, Amanda Law and Brad Wolfson were also in attendance. In addition to Sambo, they discuss short length, headbutts, Studio 540, viking money and The Great Potato Smuggling Incident. Mission 22 - United in the War Against Veteran Suicide. Mission 22 Volunteers Julia Gumpert, Steve Matias, Kaylee Adams and Amanda Law sit down with Jorge in Kaylee’s living room in Connecticut after day one of the 2017 Blackbelts for Butterflies East Coast Seminar. They explain what Mission 22 is, how it started, how to become involved and how to get in touch with them if you need help. We talk about the resources they provide, their partners and specifically how Brazilian Jiu-Jitsu and We Defy Foundation are helping veterans around the country. [FROM THE TRUCK] The Life of Erin Herle. On an early morning ride home from the airport we talk about Erin’s travels and the amazing people she has came across. Also, we discuss arm-rest etiquette, sleeping on a plane, laundry, The Valley, The Olsen Twins, who sings “This is How We Do It and 8 toed cats. Erin is a Black belt under Rubens “Cobrinha” Charles. She is also a writer, photographer, successful competitor, CEO of Submit the Stigma and Creator of The Jiu Jitsu Journal. belts sit in on the conversation, Professor Keith Owen and Professor Rob Magao. Professor Keith Owen is the owner of Team Rhino Brazilian Jiu-Jitsu in Meridian, Idaho. Professor Rob Magao is the owner of Bushido Jiu-Jitsu Academy in Manchester, CT.
Luciano’s first black belt, and the head BJJ instructor at Ace Jiu-Jitsu in Fountain Valley, CA. and owner of Fist Fitness Gym in Westford, MA. Jay and Jorge sit down with competitor, coach and ref Alexandre Bueno de Oliveira by a fire in Gabe’s backyard in Kittery, Maine. We talk about how Alexandre got from Sao Paulo to New England, Fight to Win, The Adam Bradley Episode, Shark Attacks and of course Fisher Cats. Mixed martial artists Ross Dannar, Glenn Kasabian and Devin Powell sit down with Jorge at a graffiti-covered picnic table and discuss MMA, BJJ, wrestling, weight cutting and life. 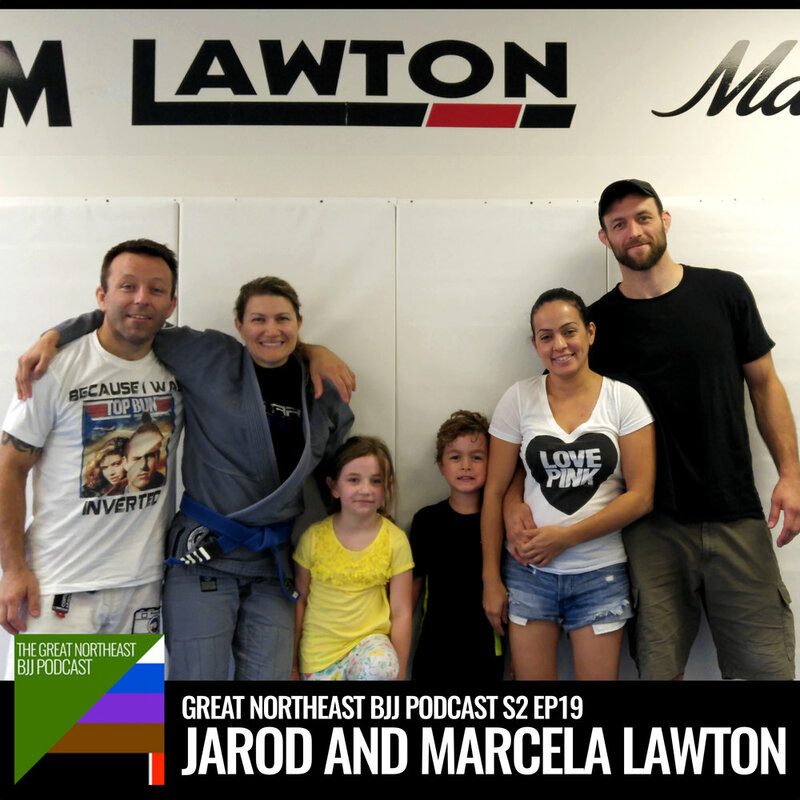 BJJ black belts Jarod and Marcela Lawton own a martial arts academy (Team Lawton) in Farmingdale, Maine. Both successful competitors, they’re raising a family while spreading the art of jiu-jitsu to their community. Traveler, survivor, and self-proclaimed "student forever”, BJJ black belt Steve Austin is the owner and head instructor of Sion BJJ in Southhampton PA. Steve talks about overcoming massive physical setbacks as a child (seven major surgeries and two years with legs immobilized in an A-frame cast as a youngster), and how Jiu-Jitsu helped him find peace of mind and a positive life. Atos competitor Adam Bradley has been on a tear lately, with medals at Worlds, No Gi Worlds and Pans, and a double gold at the 2017 New York Open. He tells his story of leaving everything behind and moving across the country to follow his dream of making a life as a Jiu-Jitsu competitor. Mission 22 ambassador Rachel Beach is a competitor, coach, traveler, a FUJI Sports-sponsored athlete, and a certified health coach. UFC veteran Justin “The Big Pygmy” Wren is an American humanitarian worker, and is currently competing in the heavyweight division of Bellator MMA. Deeply involved in the African water crisis, Justin talks about his book “Fight For The Forgotten”, which describes his time digging wells for the Mbuti Pygmies, his upcoming documentary, and his current project, “Dig Deeper”, a campaign to set up five water-vending stations in Uganda. Get more information here: http://www.water4.org/4/DigDeeper . The third installment of Jay And Jorge's OKC adventure. Recorded poolside, we talk to Checkmat Denmark black belt Joachim Christensen. Joachim is an athlete, mixed martial artist, a social worker, and he served in the Denmark Army as well. Ashlee Evans-Smith is a fighter in the UFC Bantamweight division and has a record of 5-2 as a pro. She wrestled in both high school and at Menlo College where she was a four-time All American. Jay and Jorge were in Oklahoma City for UFC Fight Night and through our friend Gabe we ran into Daniel Wanderley, who was cornering one of his fighters. Daniel is a successful jiu-jitsu competitor, MMA fighter and coach, and is currently teaching BJJ in Milwaukee, WI at Roufusport. We appreciate that he took some time to sit down with us and hopefully we will be able to get up to Wisconsin to train and hear the rest of his story! [DOJO STORM] The guys head up to Maine to BJJ Globetrotters Camp 2017, to train and talk with world traveler, teacher, competitor, author, and BJJ Globetrotters founder Christian Graugart. Hosts: Jorge Law, Duncan Watt. 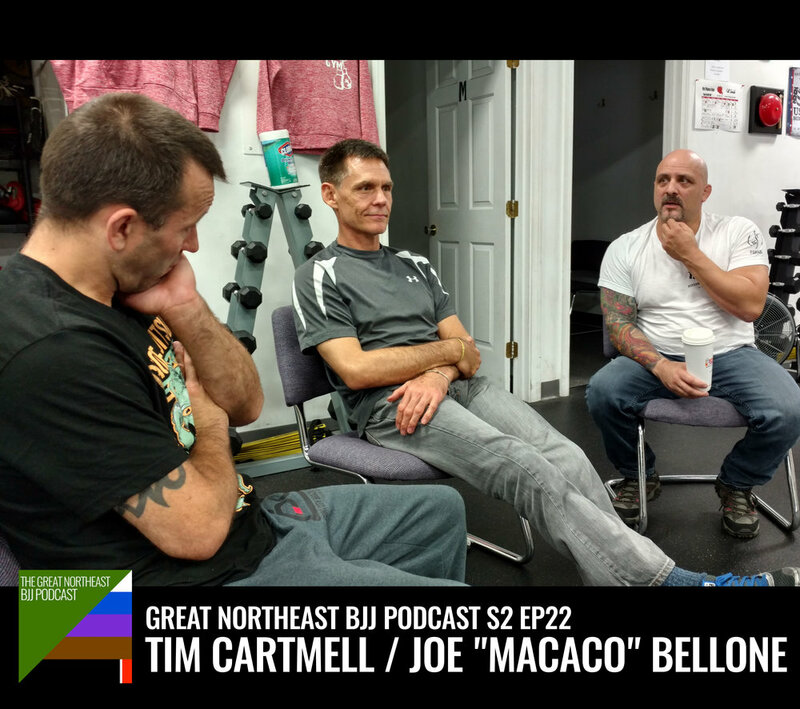 [DOJO STORM] The guys head up to Maine to BJJ Globetrotters Camp 2017, to train and talk with podcast alums Nelson Puentes and Hilary Witt Puentes (Inverted Gear), Matt Kirtley (Aesopian BJJ), Eric Bydairk (Takedown Nation) and Brad Wolfson (Soulcraft BJJ). [DOJO STORM] The guys head up to Maine to BJJ Globetrotters Camp 2017, to train and talk with Renzo Gracie/John Danaher black belt Aaron Milam. In more than 25 years of training, Aaron has competed in BJJ, Judo, and submission grappling, both regionally and internationally. Aaron also holds a Bachelors and Masters degree in philosophy. [DOJO STORM] The guys head out to PMA Plaistow (Plaistow, NH) to interview Olympian Rick Hawn. Rick is a former Olympic judoka and professional mixed martial artist, most notably winner of the Bellator Season 6 Lightweight Tournament and the Bellator Season 9 Welterweight Tournament. [DOJO STORM] Brian "Carequinha" Marvin is a retired active-duty Army soldier, an MMA fighter (7-1 record), and an active Jiu-Jitsu competitor. Following a successful fundraising seminar, Brian talks with the guys about his association with the Mission 22 Foundation, bringing awareness to the epidemic of veteran suicide.